Thank you for your interest in NUC Electronics Co.! 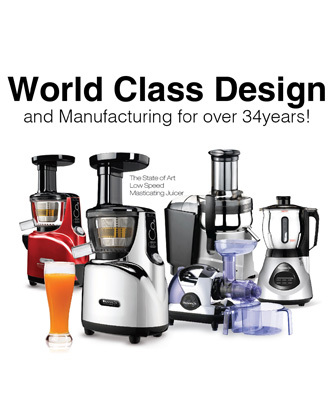 For past thirty years, through continuous research and development of our juice extractors, blenders, juicers and various other home appliances, our customers enjoyed premium quality health care product in their homes. Also, our products received numerous commendations from the government as safe and innovative design with our patented technology. As our sole mission is to design and manufacture home appliances with our customers’ health and well-being in mind, we are honored to be recognized as a leading authority in health care product concepts in Korea. We will continue to lead our industry with progressive management system and socially responsible values, and become a global company by delivering the world-class product quality and services to your home and business.